At twilight, just as in life, there are always bigger forces at play. 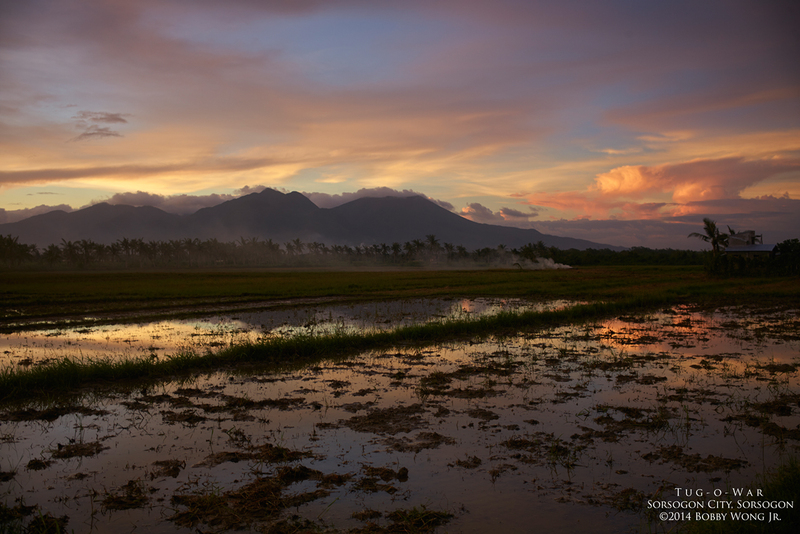 We found ourselves in a rice field on the outskirts of Sorsogon City at dusk. The sun's departure is almost complete, leaving just vestiges of light over a landscape that has been swallowed by the dark. Except for the sky, everything else is cloaked in shadows. So why are we still standing around gazing in the direction of the light? Because when the forces of light battle the hordes of darkness, opportunities abound. Just as in life. Enjoy.